Aryan captioned the post simply, ‘Narcos’ and geo-tagged it to Courchevel, Rhone-Alpes, France. 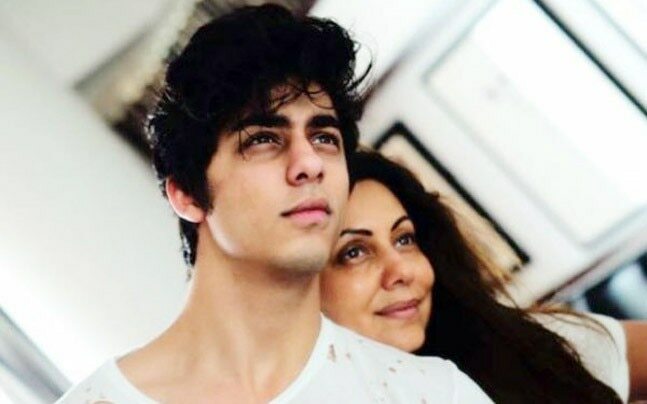 Actor Shah Rukh Khan’s son, Aryan Khan, is yet to make his Bollywood debut but has already accumulated an intense fanbase online. On Sunday, Aryan posted a series of new pictures from his France holiday on Instagram, and his almost million-strong followers couldn’t get over his good looks. Aryan captioned the post simply, ‘Narcos’ and geo-tagged it to Courchevel, Rhone-Alpes, France. The first of three pictures shows him sitting on the ground, holding a chunk of snow in his hands, the second shows him gazing at his phone, with the Alps in the background, while the third shows him in side-profile, against the striking blue sky. His legion of fans left comments under the pictures. “My heart skipped a beat,” wrote a fan, while another commented, “His jawline ohhh my goddddddddd.”Others wondered where his dad was, and one person wrote that the post ‘Made my morning so blissful.’ Other fans compared him to Felix Gallardo, the main character from Netflix’s Narcos: Mexico, who is played by Diego Luna. Shah Rukh has often commented on his kids’ possible future in the movie business. While Aryan’s sister, Suhana, is being groomed to become an actor, SRK in a recent interview said that Aryan’s more interested in filmmaking. “Aryan is studying to be a filmmaker and a writer, while Suhana wants to be an actor. But even if he wants to be a filmmaker, he needs to study for another five to six years and not just the literal form of studying, but probably be an assistant to Karan after he finishes his film-making course,” Shah Rukh told Hindustan Times, alluding to his friend Karan Johar’s offer to launch his kids in the industry.